1.Volatility-VIX has Stayed Below 15 for the Longest Stretch in 15 Years. 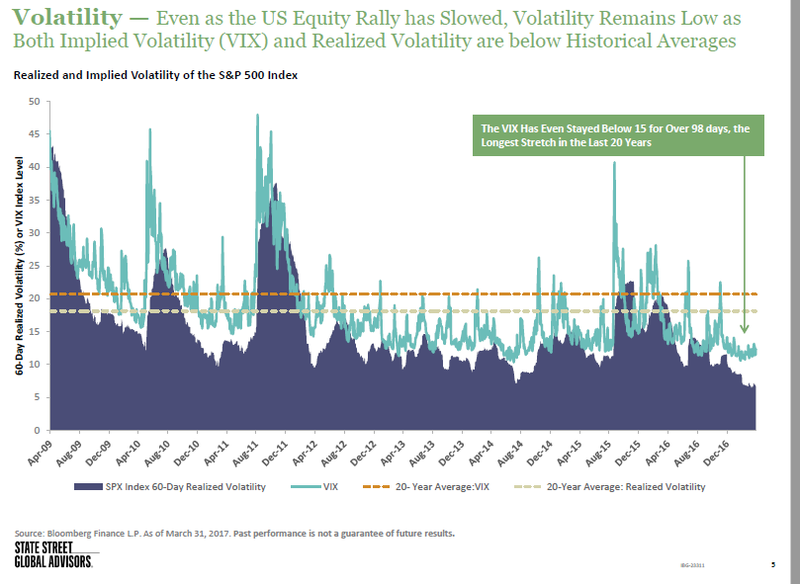 2.Was Yesterday a Sign of Volatility Picking Up? Energy and Financials had 2% Intra-Day Moves. As we tweeted yesterday afternoon, yesterday was the first time since February 2016 that the S&P 500 closed down on the day after trading up more than 75 basis points at its highs. Below is a look at sector performance so you can see where the late-day weakness came from. 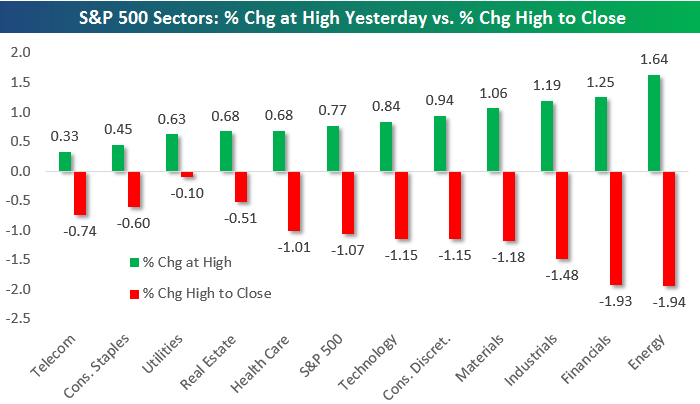 In the chart, we show how much each S&P 500 sector was up at its highs yesterday, and we also show how much each sector fell from its highs to its closing level. The S&P 500 as a whole was up 77 basis points at its high and it fell 1.07% from its high to the close. As you can see below, the sectors that were up the most at their highs ended up selling off the most. The sectors that were up the least on the day at their highs ended up selling off the least. Financials and Energy got hit the hardest during the afternoon sell-off. Energy was up 1.64% at its highs before selling off nearly 2% into the close. 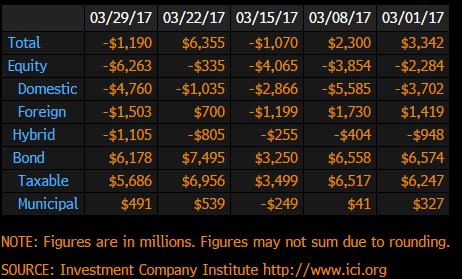 Financials was up 1.25% at its high and then went on to fall 1.93% into the close. A defensive sector like Utilities, on the other hand, closed nearly at its high for the day as investors moved from cyclicals into safer areas of the market. 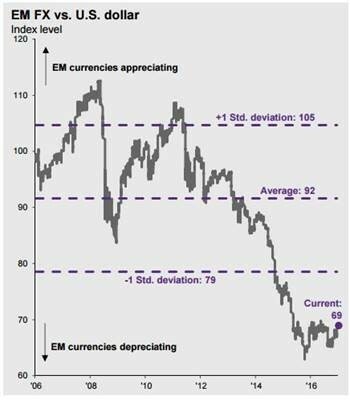 3.Emerging Market Currency Depreciation Since Crisis. After the Trump election, the focus on emerging markets centered on what could go wrong, instead of assessing the fact that equities and currencies were already pricing in pessimistic outcomes. As a result, GOP pushback on the border tax, a neutral Fed position, and underlying strength in emerging economic data has led to the market-leading rally that we have seen from EM assets. For instance, Chinese PMI and manufacturing data have been robust, hovering around two-year highs. 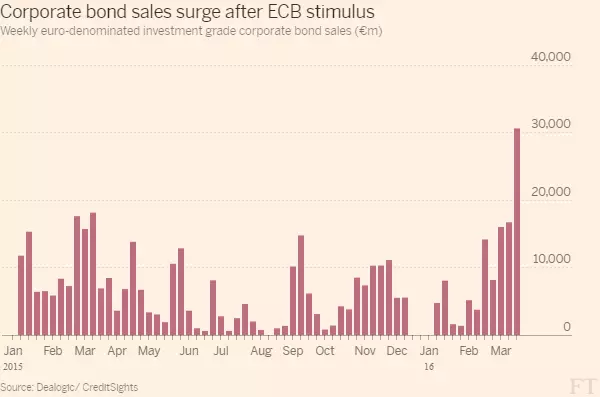 5.ECB Buying of Corporate Bonds Hit Fastest Pace in Late 2016….Now the Bank is Going to Slow it Down. 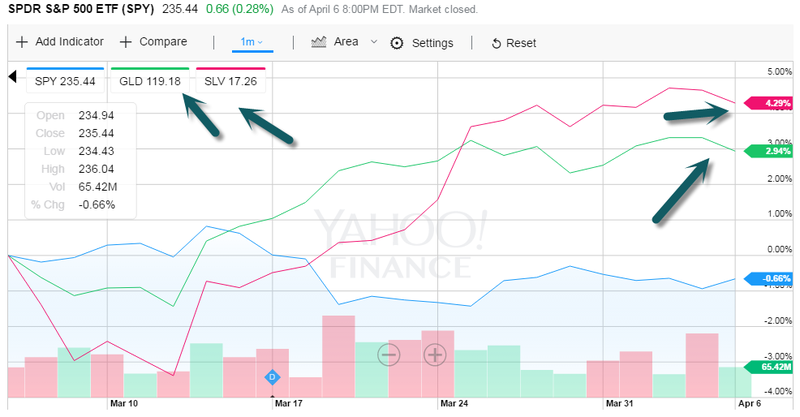 6.Gold and Silver vs. S&P in the Last Month..
7.Money Also Plowed into Bonds in the Last Month. FLOW SHOW– Bond funds had inflows of $6.2b in week ended March 29 vs inflows of $7.5b w/w, Investment Company Institute said, while there was heavy withdraws again from equities. 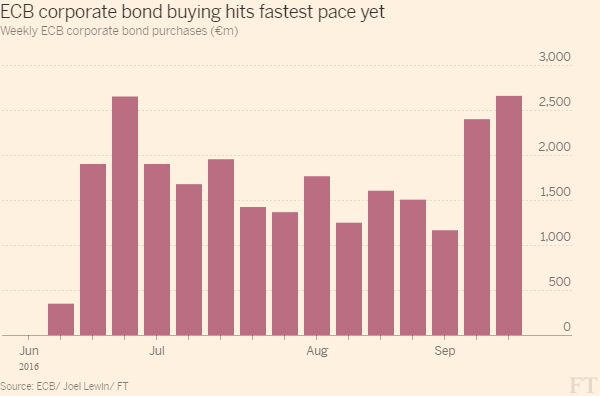 This may be the most eye-opening and useful chart you see all year. Insider buying is one of the top indicators of future outperformance, according to Alexander Green. And the average investor is oblivious to its effect on their portfolio. In a recent conversation with Alex, he said, “insiders have an unfair advantage when they go into the market to trade. So earlier this week, we asked our Research Team to do some digging into those Form 4 filings. The chart above is what they discovered. 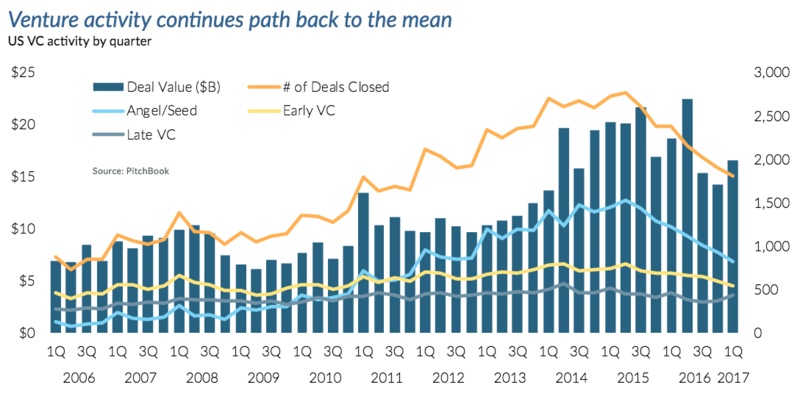 Over the past year, insiders have been making big moves. 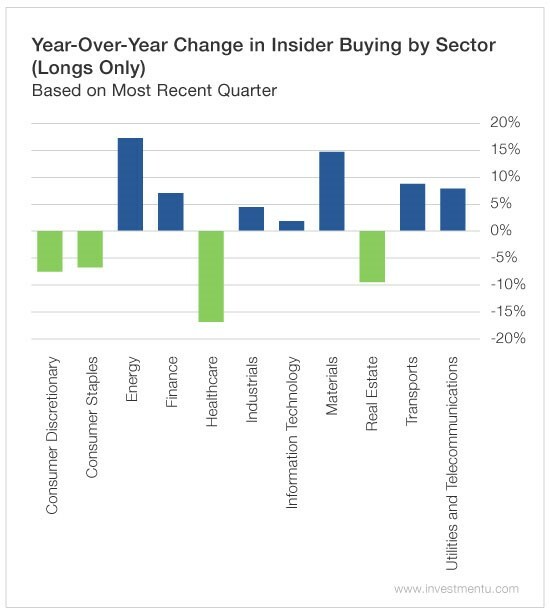 Insider buying has increased 17.41% in energy and 14.89% in materials. Ray Dalio is with Jamie Dimon. And in an interview with Business Insider’s global editor in chief Henry Blodget on The Bottom Line, Business Insider’s new weekly business news show, Dalio, the founder of Bridgewater Associates, agreed. “He’s right,” he told Blodget. Dalio launched Bridgewater from his kitchen, and the firm is now the world’s biggest hedge fund. He made $1.4 billion in 2016, according to Forbes. Henry Blodget: You agree with that? Ray Dalio: Oh totally. I think it’s very inefficient. In many parts of this country, we don’t create a bottom. There’s no bottom. In other words, there is no minimum level of acceptable education, there’s no minimum level of acceptable circumstances in some places. There’s a tragedy that we’re losing, in many ways, our human infrastructure in lots of those places. That’s also a bad investment. My wife is very much involved in education in the worst parts of Connecticut. This is something that’s particularly important to her. She funded a study that looked at the number of disengaged and disconnected youths. A disengaged youth in a high school is a student who comes in and doesn’t participate. They go to class, they don’t do their homework, they don’t do anything. A disconnected youth is one that doesn’t even know where they are, they don’t come to school. She had this study done: 22% of the students in Connecticut are either disengaged or disconnected. Now you think not only is that a human tragedy in terms of those kids, but that’s also going to be a terrible social tragedy. What will they end up doing? How will it be? How does it make sense? When you look at some of the educational things that can be done that make such a world of difference to people, it’s a terrible waste of resources and ineffiency. We have a problem with our human infrastructure that is a major problem. Henry Blodget: Do you think that that is a different infrastructure to the one that allowed or helped you to do what you do? Ray Dalio: Yes, I was lucky in the sense that I had parents who cared about me, I went to school, I was able to have that kind of infrastructure in this wonderful country that allowed me to have those kinds of opportunities and inspirations, you know, when you look at people, and they could do those things, so there was a dream that can happen. There is a wonderful documentary movie called ‘Waiting for Superman.’ I don’t know if you know the movie, OK, ‘Waiting for Superman.’ It tells the story of being in the inner city and having this aspiration of Superman, and then waiting for Superman, and there is no Superman, he doesn’t come, there’s no hope. You need hope. You need family. You need infrastructure. You need certain basic things that I had the benefit of having and a lot of the population doesn’t have the benefit of having. 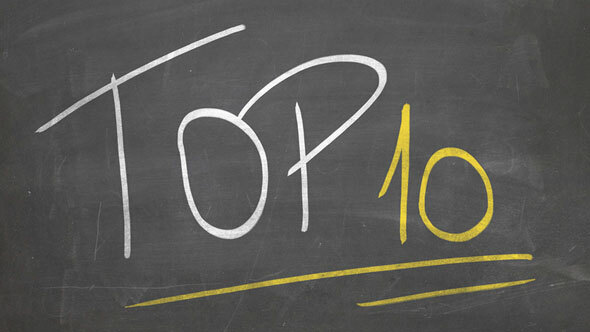 10.Do You Want a Paycheck or Self-Actualization? People will work for money. But if you want your team to actually care, it takes more than cash. Apple is known for paying employees above minimum wage, providing health and retirement benefits to part-time employees, and having a generous parental leave policy. Meeting basic needs allows their employees to move higher in the hierarchy to focus on innovation and customer experience. Apple’s in-store employees are not paid on commission. This creates a sense of security. Not worrying about financial safety enables them to authentically help customers without being distracted by their basic needs for survival. Apple unites their workforce behind the Apple brand. Saying, “I work at Apple” means I’m in the tribe of cool kids. Apple provides iPhones to all of their employees, as both a symbol of belonging and a gesture of appreciation. Leadership wants their people to connect with each other. They encourage employees to spend non-work time together and provide opportunities to do so. Rallying the Apple tribe around the brand fosters loyalty and self-esteem. Employees derive esteem not just from the name Apple, but also from what the company actually produces. They put 10,000 songs in your pocket, they connect people around the world, they bring creativity into classrooms, and the list goes on. It’s a source of pride for employees. Apple was initially founded on the premise of the “democratization of the desktop.” Steve Jobs’ original contention was the personal computer was a bicycle for the blind, giving people the ability to explore like never before.” Jobs was famous for saying he wanted to put a dent in the Universe. Employees have a purpose larger than themselves; their work is changing lives. Last year I was in Hong Kong walking with my family through a crowded outdoor walkway connecting several buildings. All of a sudden the crowd parted and started to buzz. Five young Asian men walking side by side strutted through the crowd. We wondered who were they? A new Asian boy band? The cast of the Chinese Entourage? No, the five young men were wearing Apple Genius shirts. Meeting the higher level needs of employees takes effort, but failure to do so results in humdrum products and low engagement employees. Yet when you create a team of people who are so proud of their jobs they strut through a mall like rock stars, you create something more than a mere business. You create a Tribe of True Believers who drive revenue and do work that makes them (and you) proud.